I have now been blogging for six month's and I am pleased to be hosting my very first giveaway on the blog from Mumkind. One reader can win two of the 'Ginger Me Baby Lozenges' and two of the 'Water Our Way' water enhancer's, which contain vitamins to help any mums to be or new mums feel less tired. So who are Mumkind? Mumkind are a new pregnancy nutrition brand for mums to be and busy new mums who say "Our mission is to make it easier for women to take care of themselves " and who have some great products such as flavoured water enhancers, bedtime drinks, nutrition bars and ginger lozenges - which are designed so that pregnant women get their nutrition from food and drinks rather than tablets. They have been created by pregnancy nutrition experts and have the backing from nutritionists, doctors and midwives including Dr Emma Derbyshire who works in maternal nutrition. So what can you win? 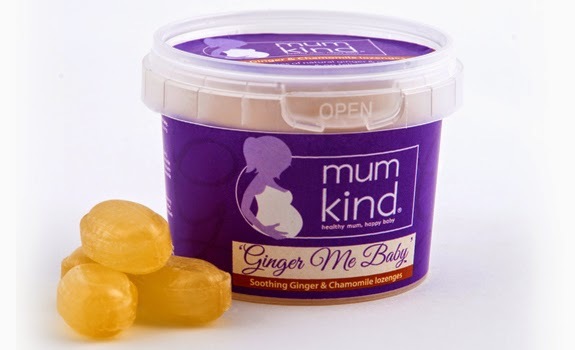 One reader can win two tubs of Ginger Me Baby Lozenges, which are perfect if you suffer from morning sickness as ginger is great for helping with sickness. These will be available to buy in over 300 Sainsbury's stores and online from Amazon from the 17th of September 2014. The winner will also win two Water Our Way water enhancers, you just add a drop of these to water for a great berry taste and they contain vitamin b to help combat tiredness and fatigue and contain 0 calories. These will be available to buy online from Amazon from the 17th of September 2014 also. I wish that these had of been around a few week's ago when I was struggling with tiredness and fatigue towards the end of my pregnancy, they sound the perfect pick me up for mums-to-be or for busy new mums like myself who are feeling tired after birth and coping with sleepless nights. 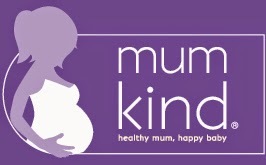 You can check out the Mumkind website and all of there products here . So all you mums-to-be, new mum's or anyone who just wants a bit of a energy boost why not enter this giveaway and good luck. * The prize is for one winner and will be sent directly from Mumkind, it is open to UK entry's only. The prize winner has 28 day's to respond before a new winner will be drawn. Just a nice thing for a friend that is having her first baby. I have heard /read that ginger can ease nausea and ease pain . A product to ease tiredness :- What joy. These would be wonderful benefits as in pregnancy these are common ailments. Whilst they can also occur outwith pregnancy. What a boost to be able to ease discomforts, and enjoy the pleasures of life. I would love to try these products. I commented on blog :- Chloe's Galt Mini Masterpiece. I hadn't heard of The Kiss (artwork) before. Seems a good initiative of Galt's to introduce children to Artwork, Artists etc.